Special: Drama Special Season 3: Do I Look Like a Pushover? Han Donggyu (Lee Chunhee) is a lawyer who's lost all of his cases, and for most of his life had the nickname "loser." One day he's given a case to prosecute a bank robber, Lee Changho (Park Sangwook), who happens to be an old high school classmate. Unable to believe that Changho would commit a crime, Donggyu sets out to find out what really happened, and changes himself with the process. Also Known As: You're Amusing , Deurama Seupesyeol - Naega Wooseuwoboyeo , Naega Wooseuwoboyeo , 드라마 스페셜 - 내가 우스워보여? This was AMAZING. That's all you need to know. Start watching it NAOOOO! Maybe it was just me, but the synopsis was a little off. It's really about Han Dong Gyu, a prosecutor who meets an old classmate in court because he attempted to rob a bank. In order to try to understand why his friend did it, Dong Gyu tries to bring to light the truth and circumstances leading up to the robbery. 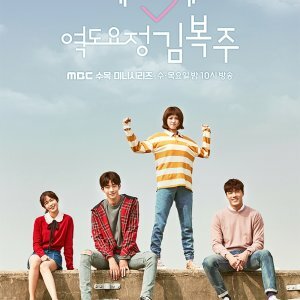 The story was written excellently and Dong Gyu's character development was extraordinarily well done. You know I'm ecstatic about something when I start bringing out all the adjectives that start with "E". Heh. As for music, it was your typical soundtrack. The thing I found interesting was the DING sound that followed a sudden awkward moment between the protagonist and love interest. I thought of it as a musical cue that a memory of them was being embedded into their history. But that's just the hopeless romantic in me. I really loved this short drama! And I would definitely be watching it again! 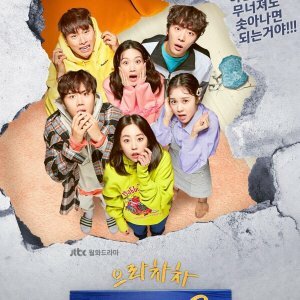 If you enjoy cute-encounters, character-growth-and-understanding-pasts, the-meek-standing-their-ground, and an unforeseen twist at the end--->then this is the short drama for you!! Be the first to create a discussion for Drama Special Season 3: Do I Look Like a Pushover?